Oven Spring, where are you? Why have you forsaken me?...as we breadbakers commonly lament when taking bread out of the oven. What is this mysterious oven spring, you ask? Unfortunately I have no first-hand experience of this phenomenon but breadbaking experts (bakers) describe it as a sudden increase in the volume of the dough in the first 10 minutes of baking. It signals a light, airy texture rather than a dense, compact crumb. 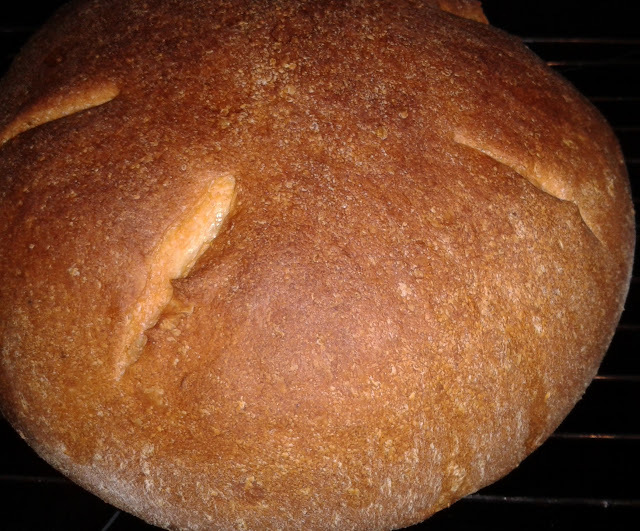 If you take a look at the slashes in my bread in the last photo, you will see they haven't expanded much at all - this means little to no oven spring. I find this frustrating to say the least and I'm not alone. If you google 'why, why, WHY? no oven spring?' you'll find a lot of people asking for advice (perhaps they should think about therapy too). It seems that the key may be the amount of time you leave the bread dough to rise. Too much rising before going into the oven equals no oven spring. So, another thing in my life that calls for more discipline than my natural inclination *sigh*. But I'm determined to get this oven spring thing licked so I'm going to turn myself into the police sergeant of proofing. No approximations or hippy-like serenity for me. From now on double in size means double, not double and a half or whoops, triple. Anyway the cause of all this oven spring lament is the Beer Bread recipe from The Bread Bible. This is a round bread made with a dark beer, as you may have guessed. I baked it a number of weeks ago now but time got away from me, so in the interests of getting this posted it's going to be brief. I liked this bread, it was dense and soft with a nice crust. The flavour was good although I could taste a slight bitter note from the beer from time to time. This would be nice with strong tasting food like stew or hearty soup. It was also pretty quick and easy (in a bread sense). There was some pre-Beer Bread discussion among a few Alpha Bakers who are less au fait with beer, about what dark beer actually meant. I once made a casserole with stout and it tasted strongly of the bitter beer, an experience I didnt want to repeat with this bread. So I bought a pale ale (made in my home town of Adelaide) which is interesting enough but not that strong, and it meant I could drink the leftovers. Since it was a few weeks ago the process is a bit hazy but I think we threw all the ingredients in together and put it in the stand mixer to blend. 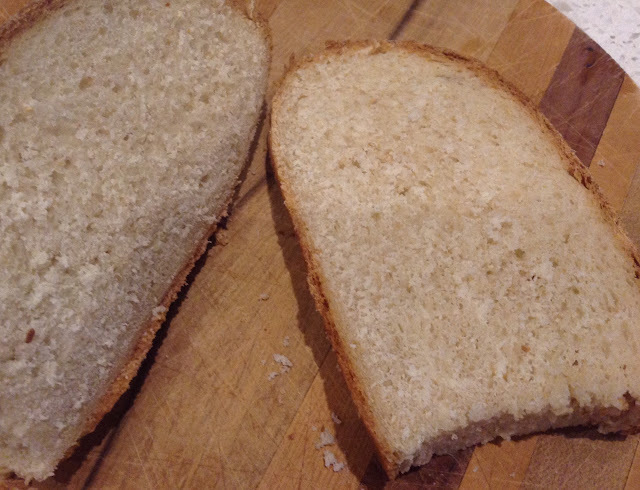 (This really is easy-care bread making). I do love these photos though. 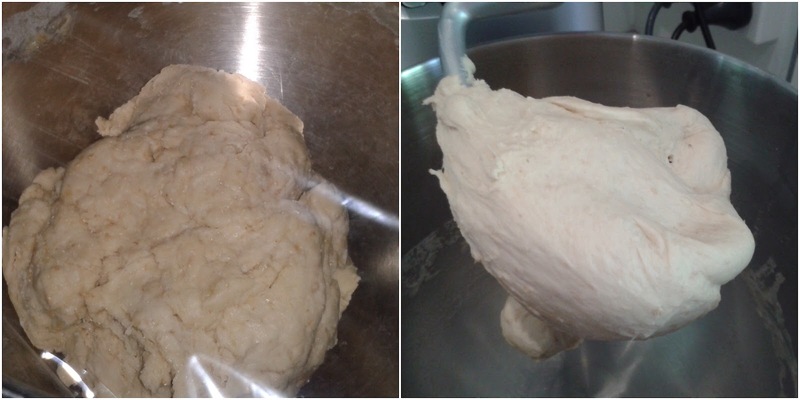 I don't think I'll ever get sick of watching bread rise. Next month, which is actually this month, we're baking Basic Hearth Bread. I don't remember mine having much spring either. Your bread looks great, the texture looks really good, all's good in the end! your bread looks great! ya, i also could taste the bitter notes of the beer in mine too. Well, it looks delicious anyway! 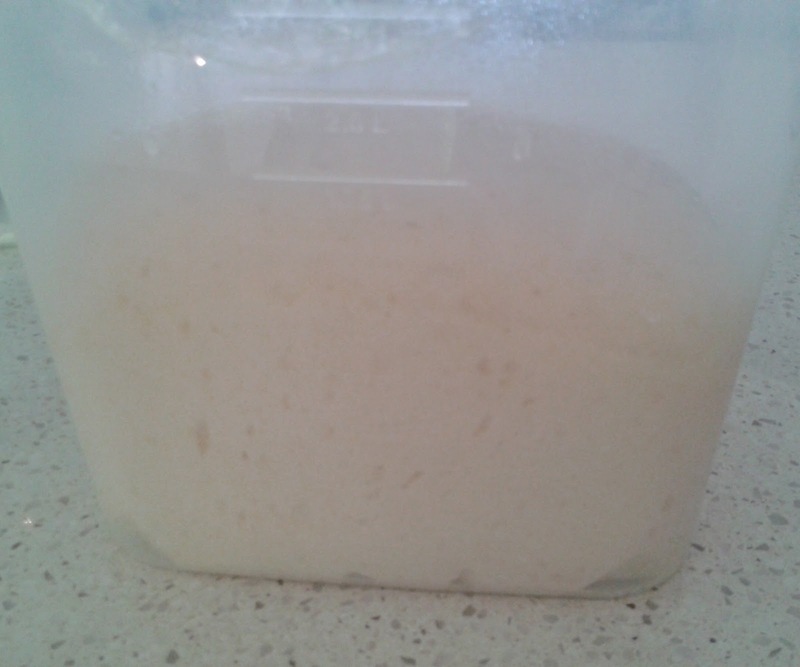 I have taken to adding a few tablespoons of gluten to my breads and it improves the oven spring quite a bit. One of the Alpha Bakers suggested that a few months ago. I don't remember who it was, but whoever it was also suggested under-proofing the bread to get more oven spring. That didn't work that well for me. Your bread looks perfect, I'll swap to that beer next time (I still have that mistake light one in fridge) … your crust colour is good and texture looks all light and fluffy.